We can see all galleries and create new gallery in this section. Here we can see all the galleries with name, preview image and status. To activate the gallery click the “Activate” button. To deactivate the gallery, click the “Deactivate” button. To edit the gallery, click the “Edit” button. To delete the gallery, click the “Delete” button. We can see the gallery shortcode will all the active galleries. 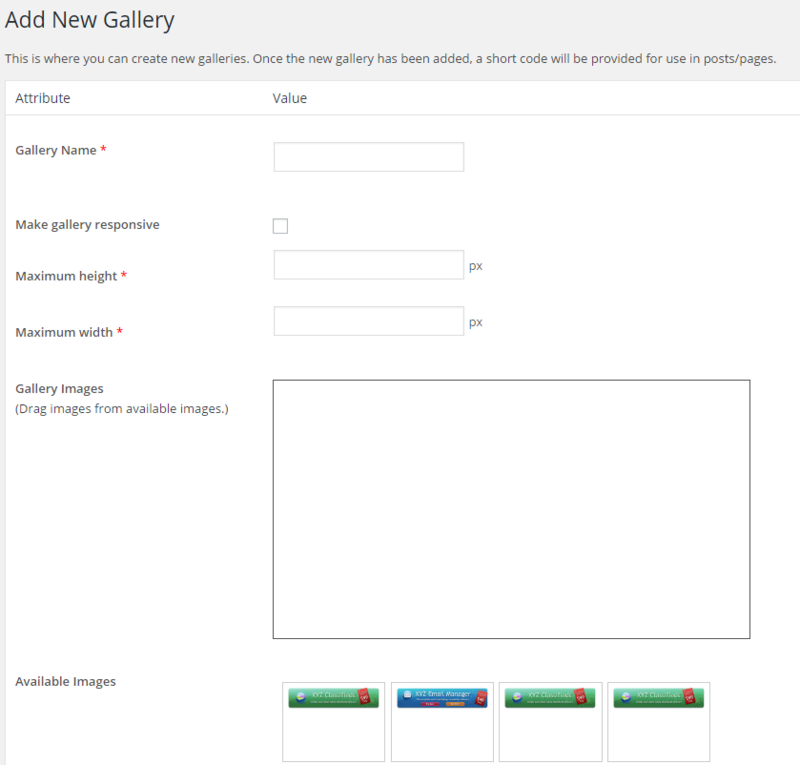 Click the “Add New” button to create a new gallery. Make gallery responsive : If you want to make this gallery responsive, select this option. After entering all the details, click the “Add Gallery” button. The gallery is now created. You can now activate the gallery and see the shortcode. You can place this shortcode in a page where you want to show the gallery. The screenshot of the gallery is given below.